We were quite excited when we were contacted by Donna from Tally-Ho Carriage Tours, who was looking to feature her company in two ways: first, a look at their tours that everyone can experience, and secondly, an in depth feature on their Hidden Acres horse farm where these beautiful creatures return to each night. Pretty pictures were not a difficult task to achieve with the Tally-Ho tours highlights feature - you can't go wrong with beautiful horses combined with Victoria’s jaw-dropping scenery and architecture, and visitors who get to experience both will not be disappointed. The best time to capture these visuals was in the soft light of the evening, and the most challenging aspect of this shoot was managing the traffic - the horse and carriages deserved the spotlight without a Volkswagen driving through! For the farm feature, it was an early shoot to catch that first golden light of day and the Tally Ho horses’ morning routine. We were there to capture their typical day - frolicking with their friends, eating their breakfast, while those who were designated to the morning tour shift got groomed and ready to go. Those who stayed behind often had time for some training which was both fascinating and entertaining to see. As horse and carriage tours can sometimes be a controversial subject, one point that we wanted to make clear with this video was how well these animals are cared for, and as Kate puts it, their need to work to stay healthy both mentally as well as physically. It was easy to portray this message, for you could clearly see each horse’s personality shining through each day - including one sassy mare who loudly kicked the wooden fence until her breakfast was served. We loved getting to know the team - both human and horse - at Tally-Ho, and encourage you to head down to the corner of Belleville and Menzies to meet them yourself! 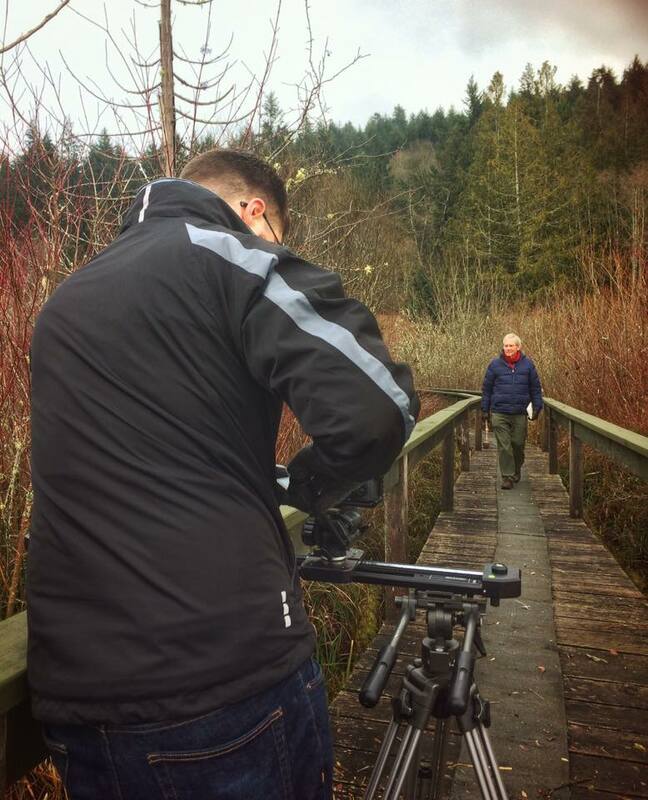 With the 100th anniversary of the Victoria Harbour Bird Sanctuary quickly approaching, the Bateman Centre team has developed a travelling exhibit to celebrate the history of avian life in British Columbia. The project features informational displays and photography, plus a showcase video that weaves together some of our favourite drone footage from the past few years! The task for our crew was to create a piece that showcased our province from a “bird’s eye view”. Without an interview or voiceover to carry the story collecting authentic audio clips would also be an integral part of the edit (since the drone doesn’t record any sound). So our editors went to work, mining our archive for aerial footage from across BC to weave into one overarching story. Then, with a few shots of local wildlife life interspersed, we collected the individual shots into scenes from a variety of environments - coastal, mountain, urban and even farmland. After carefully mixing our sound and animating the Bird’s Eye View logo, this completed piece was ready to head out on tour! 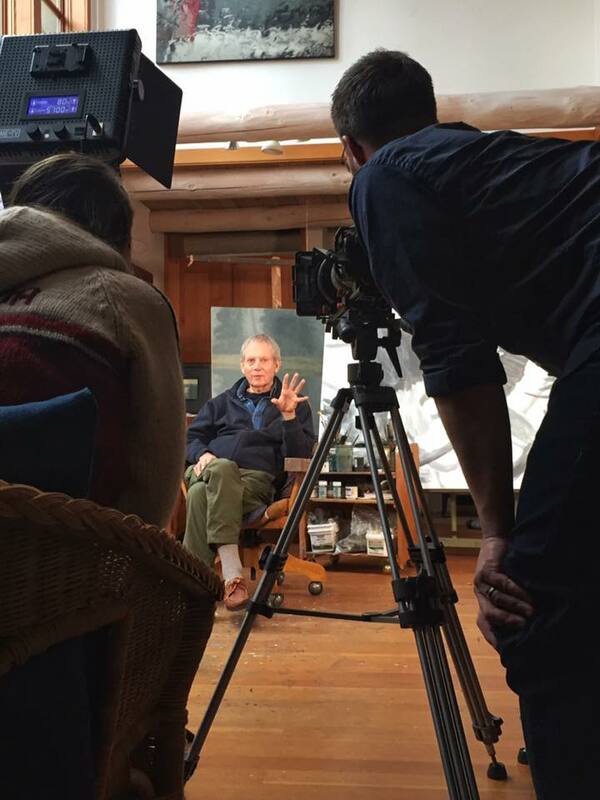 One of the most enjoyable aspects of our work is when we have the chance to collaborate with other talented professionals to make a project come to life - but it was an extraordinary pleasure to join forces with one of Canada's most iconic artists, Robert Bateman, to launch a new video series for the gallery that bears his name. A recipient of the Order of Canada, Robert has made a career out of capturing the little details that make nature so magnificent. And with the launch of Nature Sketch Club, he is passing along some introductory tips and tricks to the next generation of outdoor enthusiasts. 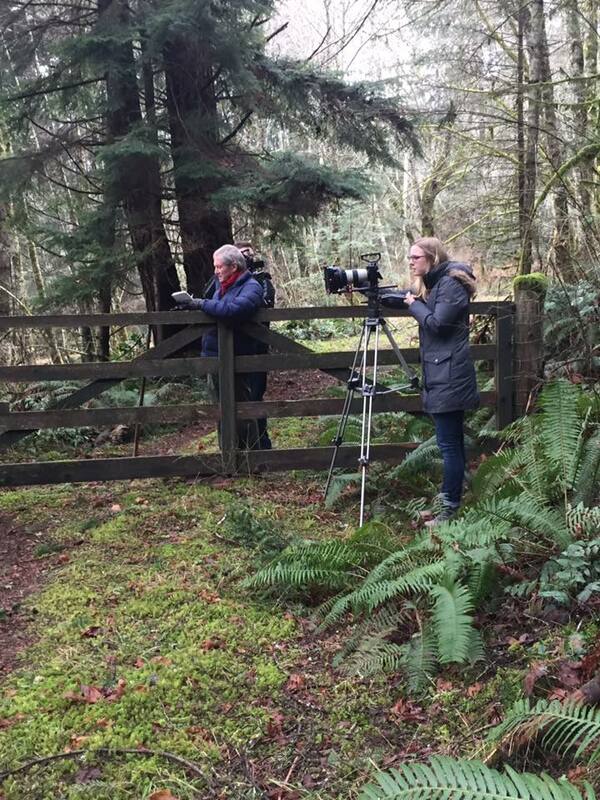 Our team was recruited to develop the video series from scratch, starting with a trip to the Bateman homestead on Saltspring Island for an initial brainstorming session with the man himself. Next we visited a number of Robert's favourite sketching spots around Vancouver Island, collecting the on-camera segments that form the lesson part of each clip. We then recruited kids as Nature Sketch Club volunteers to put those lesson plans to work, and show the concepts in practice. The final piece of our puzzle was an animated intro that would serve as a unique branding piece for the program. Our team scanned a series of Robert's original sketches into our graphics software before adding a touch of animation and some subtle sound effects, all culminating in a quick little logo that will open each video in the series. Nature Sketch Club is now running coast-to-coast and live online, and we can't wait for our next chance to step into the Bateman studio and help keep his passion for promotion Canadian art going strong! 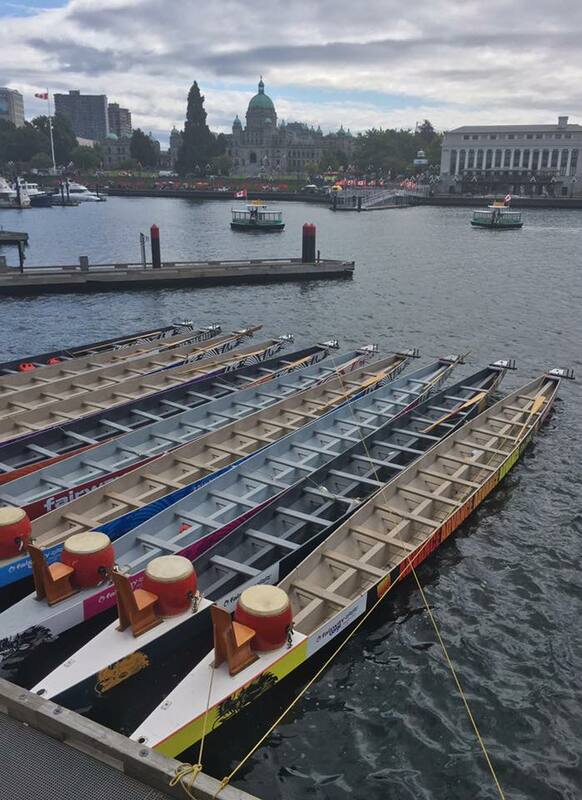 One of the most inspiring events in Victoria is the annual Dragon Boat Festival where dozens of teams from across North America compete in the Inner Harbour all in support of the fight against breast cancer. Once again, our friends at Island Farms asked us to capture the event and their participation. We knew that the pace of this video would have to be high to match the energy and enthusiasm on the water. Using cameras stationed on land and on the water, shooting in slow motion, we were able to collect some of the intimate details that make this event special. Our crew also attended the eye dotting ceremony that opens the event, the traditional Chinese prayer ceremony, and the Carnation Toss which salutes cancer survivors. As always, our team utilized a variety of microphones to ensure we collected the sound of the event as well as the images. Using natural sound in editing helps these videos come to life and pop off the screen. It was an honour to tell the story of the Dragon Boat Festival and we look forward to supporting the event for many years to come. Island Farms s a great community partner for many events every year and asked us to help showcase their participation in local events by creating a highlight reel from the day. 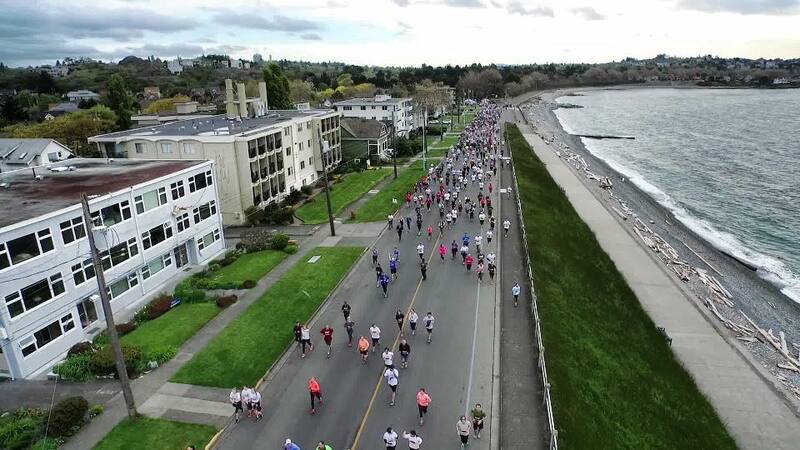 Every April, the TC10K takes over the streets of Victoria as nearly 10,000 runners and walkers take part in one of the oldest running events in Canada. Our day began shortly after dawn capturing the elites and amateurs alike in their pre-race routines, but the moment of truth comes at the start line where even our veteran crew triple check that the record light is on before the gun fires. With the runners off to the races, our team jumped into the midst of the action - even using our gimbal stabilizer to run alongside many of the competitors. Whenever we are out at a community event, using natural sound is the most powerful way to make the viewer feel like they are a part of the experience. Everything you hear in this clip was captured by our microphones - from the high school band performing on stage to the cheers from the crowd on the sidelines. To help highlight Island Farms, we kept a special eye out for their branding, not the least of which was the post race recovery section where all the runners had a chance to grab a carton of chocolate milk as a recovery drink. Once the race winners had stormed across the line, our team made sure to capture images of runners of all shapes and sizes. No matter what, it’s hard not to feel inspired watching these people cross the finish line. It's not very often that we have the opportunity to produce a legacy piece - a video that will stand on display for many years within a permanent exhibition. 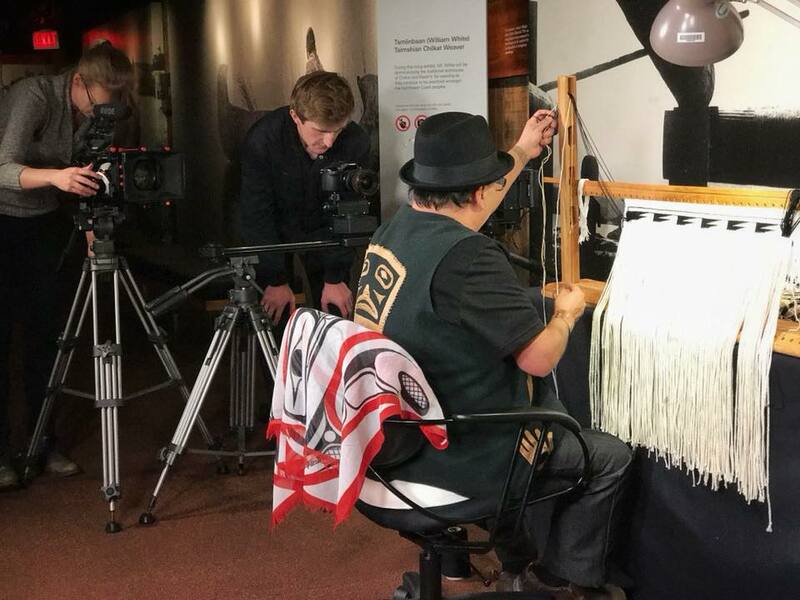 But as part of the Royal BC Museum's ongoing efforts to revitalize the galleries, Tsimshian weaver Willy White (Tsamiianbann) was invited to create a series of traditional dance aprons for the First Peoples Gallery and the museum team gave us the incredible opportunity to document the entire process on video. Over the course of a single week, we returned to the gallery several times to capture Willy's intricate work unfolding. First and foremost, we carefully arranged our lights to illuminate the scene without an abundance of shadows and flares, and then got down to work behind the camera. 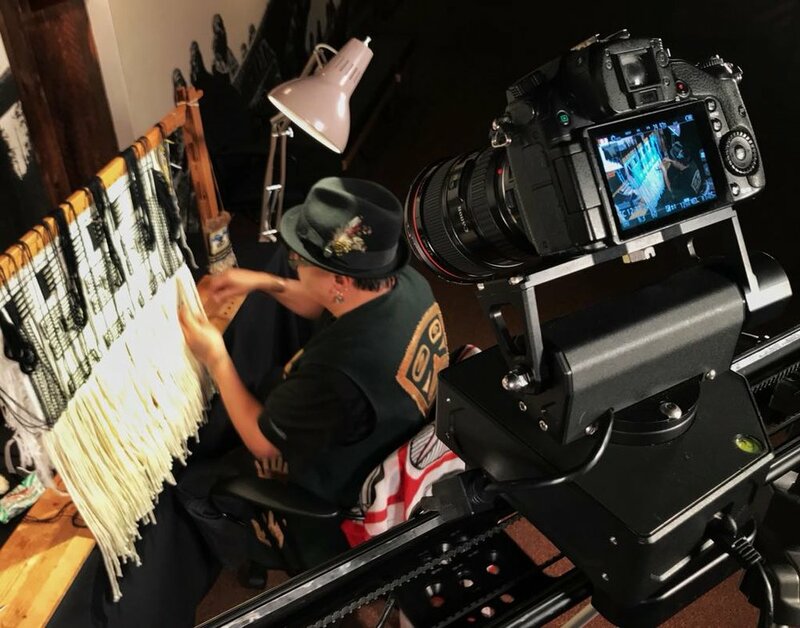 We captured the intimate details of the patterns with a telephoto lens and gave movement to the wider scene using our Kessler Second Shooter, adding a bit of camera movement to enhance the cinematic look of the video. Then, as work was coming to a close on the Raven's Tail and Chilkat aprons, we sat Willy down for an interview to give us a better understanding of his art and its role within his heritage. 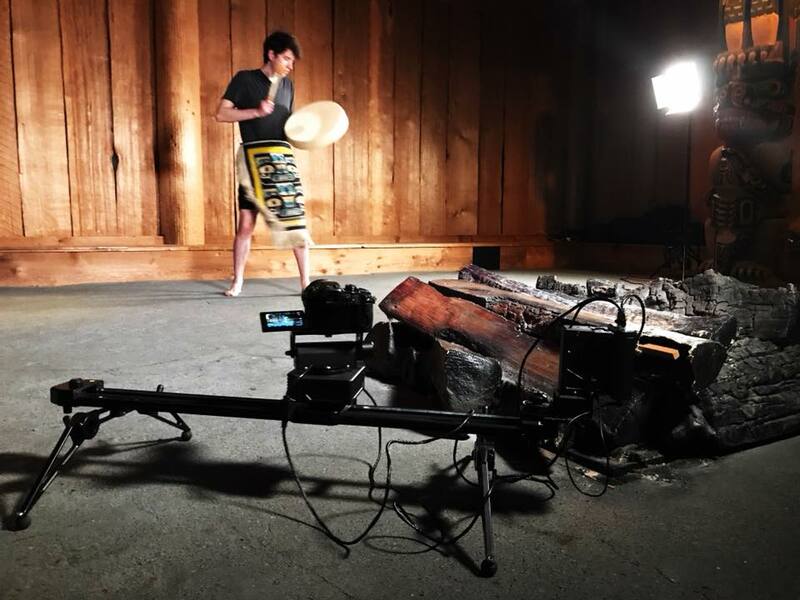 We also knew this video would be incomplete without seeing the aprons used in a dance sequence - they were designed and woven to move to the beat of a drum and it was an integral piece of the story. It's a tremendous honour to have our work on display within the walls of this great institution and we couldn't be happier to play our small part in celebrating the culture of BC First Nations. Imagine you are creating a video to fundraise for an upcoming educational facility, but the staff do not yet know the extent of what this facility will include. You are tasked with creating visuals to demonstrate what the public will experience during a visit as well as the resources that will be available to them. This was our challenge during our latest project for the Royal BC Museum’s upcoming Learning Centre, and we had an open slate to work with! So we used our imagination. The one facet that the staff wanted to stress was the use of relevant technology in this space, so we leveraged existing visuals within the RBCM to create imaginative Learning Centre scenarios. It was also important for the viewer to be able to visualize an all-inclusive space that not only had technology but hands-on experiences, too. To bring the architectural design renderings to life, our team utilized PhotoMotion software, which turns 2D images into 3D stages, allowing us the opportunity to add simulated camera movement to photos or sketches. We also worked with the museum staff to stage a number of scenes that give an idea of programs that the new Learning Centre will offer. Another key goal of this video was to showcase all of the potential user groups for the new space - young and old, families and professionals, experts and amateurs. Now that the video (and various short social media versions) is complete, it is a central part of the museum’s fundraising campaign to help bring this ambitious vision to life. When our friends at Power To Be approached us with the opportunity to document their story from concept to creation, we couldn’t be more excited to create a mini documentary about their journey to a permanent home at Prospect Lake. Knowing that hearing from all sides of the organization was going to be essential, we interviewed everyone from founder Tim Cormode to the parents and participants that make the most of the organization’s adventure therapy programs. 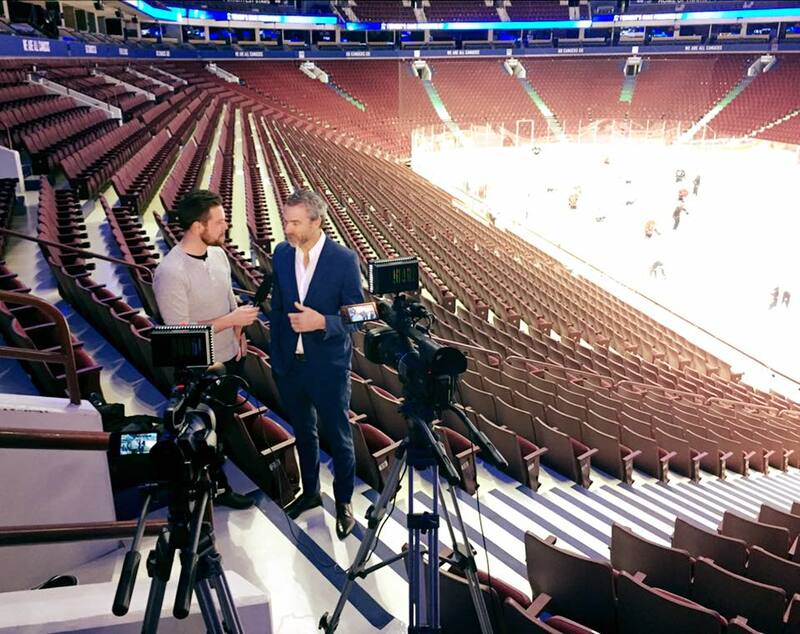 Then, with a little help from Power To Be’s Communications Director (and Mike’s former CHEK News colleague) Dana Hutchings, our team began assembling the narrative structure of the video. After spending a few days at the new property hiking in the woods and paddling on the lake, we had all of the pieces to craft a story of how one organization is both connecting a community and empowering individuals. With fundraising efforts ramping up for another year, the Power To Be staff asked us to create a pair of videos to highlight a busy summer of initiatives. 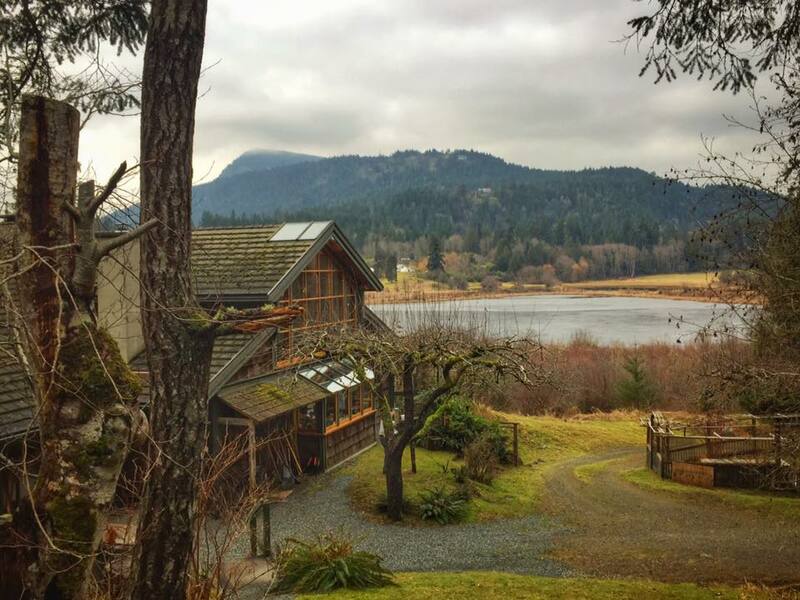 One of the key events on the calendar is their Gala Fundraiser, held on a spectacular waterfront property in Central Saanich. Bringing together business leaders and philanthropists of all kinds, the gala features local chefs competing for top honours while also presenting some top-notch musical performances. And this year was no exception, with Blue Rodeo front man Jim Cuddy stepping into the spotlight. giving the viewer an intimate sense of the event. 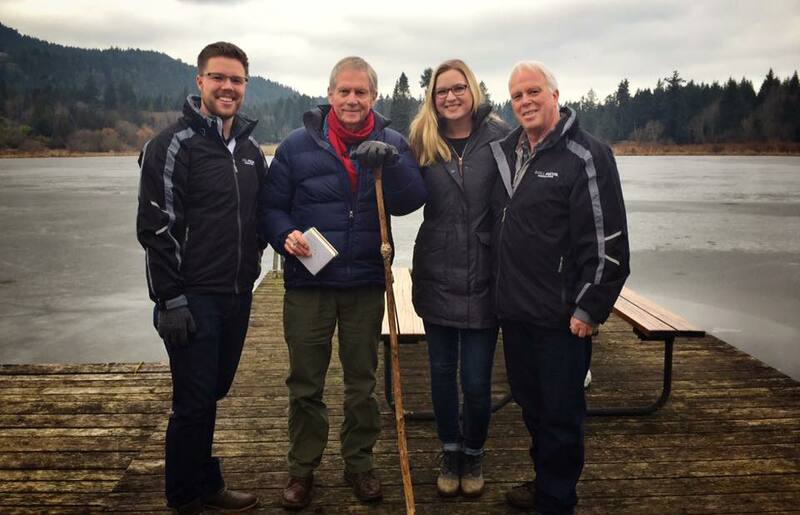 With one event already under our belts, it was time for our team to dive into another Power To Play event - this time in the beautiful setting of Vancouver's Stanley Park! Once again, the Power To Be team was instrumental in pulling off this production, ensuring we had the chance to capture key teams in action and the ever-important course map to help our crew zip from location to location throughout the day. With our camera stabilizing gimbal on hand, we were able to record some dynamic sprinting sequences as the teams made their way across the finish line. And of course, we had to ensure we were collecting the sounds of the moment as well - and used both on camera microphones and a standalone boom mic to capture the audio that would really make the final project come to life in editing! In total, the event raised $310,000 in support of inclusive adventures rooted in nature, and we couldn't be more proud to support the cause! Power To Be is recognized as one of the most influential charities on the province, and when you’re fortunate enough to attend one of their events it’s not hard to see why. Each year the organization helps hundreds of kids explore the outdoors, regardless of their physical or mental abilities – and the key annual fundraiser for these programs is Power To Play. This spring, event organizers asked our team to get involved and help capture the unforgettable energy of the day. With 35 corporate teams competing in a course that challenges even the most seasoned obstacle course races, we can’t think of a cooler way to raise money for the cause. 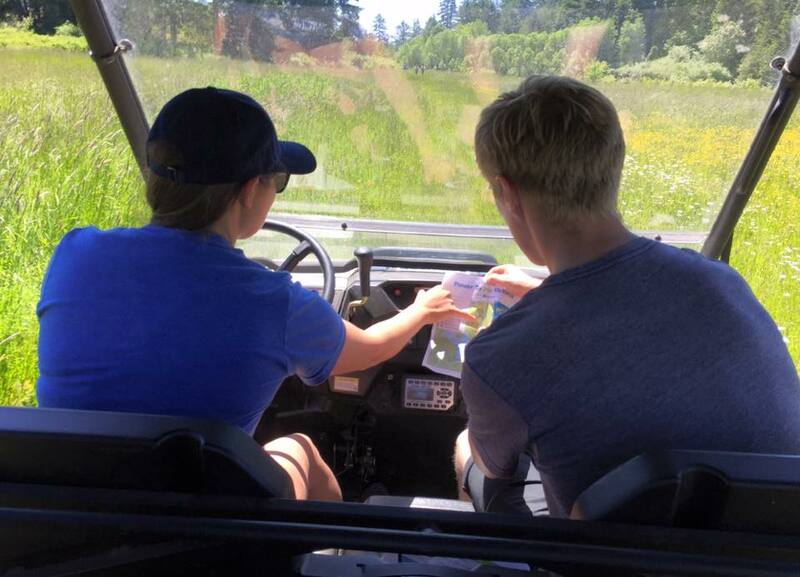 Our crew set out to cover the 10 kilometre course with an oh-so-necessary golf cart at our disposal. Between lugging equipment through the woods and running through fields with a gimbal in hand, our day was still only half as strenuous as those in the thick of the competition. We did our best to collect the unique and interesting angles that would differentiate this year’s video from those of the past, and paid special attention to the sounds of the day as well – capturing audio that would be an integral part of the final edit. And arriving at the finish line to watch exhausted teams clamour out of the water and over the final wall to ring the bell made for some of the most rewarding images we’ve shot to date. In editing we quickly pieced the best moments together for a public release just days after the event, which we’re proud to say raised $223,000 for the great work carried out by our friends at Power To Be. Our crew will be back on the course for the Vancouver event in September, and we’re already looking forward to it!